Here’s a sneak peek of the cover for the fourth book in the JP Weiscarver Mystery Series. 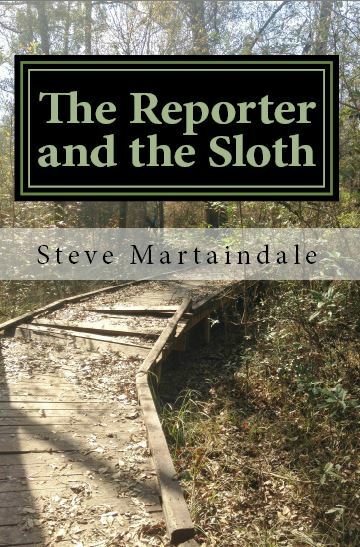 Release of “The Reporter and the Sloth” has been scheduled for the first day of spring, March 20, 2015.
Who thinks we should have some sort of promotional giveaway? Give me some ideas.